Automation professionals name the companies they say offer the best technology in more than 80 product categories. Love may seem too strong a word to apply to the feelings process control professionals harbor for their favorite brands—according to Plato, “Love is a serious mental disease”—but it’s more than “like.” Every day, thousands of Control readers interact on the job with thousands of pieces of process control equipment, software packages and the representatives of the companies that supply them. How their day goes and how they feel at the end of it depends a great deal on those interactions. From ease of specification and procurement to cost, delivery speed, quality, functionality, precision, stability, reliability and customer service, end users gain impressions about every item from every company they encounter, and over time, for better or for worse, those many impressions develop into lasting relationships. Experienced process automation professionals know which companies are best qualified to give them what they need. For the 25th time, Control’s annual Readers’ Choice Awards survey asked end users to name those companies. As usual, about 1,000 respondents weighed in on which suppliers provided the best technology—this year in 10 overall product categories and 84 subcategories. Each was invited to vote for up to three vendors in each category and discipline, and their first-, second- and third-place votes were weighted to yield a rank of up to five top positions in each subcategory. 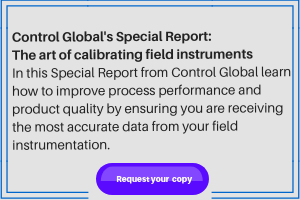 Determined solely by readers’ fill-in-the-blank responses, the awards you’ll find on these pages name the vendors that provide the best technology in categories from software and systems to instrumentation and final control elements. As you review this year’s winners, remember that the fill-in-the-blank format of the survey means every supplier has an equal chance—the choices are not limited to a selection of entries determined by vendors, editors or other people who are not practicing process automation professionals. On the survey, we ask end users to vote only in those categories where they have personal experience. A vote for a specific company should mean the respondent has found its products to be better than other companies’ in that category. While we ask respondents to write in the name of the company, some write in the names or numbers of specific products or software packages. We do our best to recognize and translate these responses into parent company names. Every vendor named in the accompanying tables has been designated as offering the best value by a significant number of respondents. Since more respondents have experience with companies that have higher installed bases or market shares, the results are inevitably biased toward the larger companies. Furthermore, there are certainly small companies that don't make the list, no matter how excellent their technologies, just because they are relatively unknown. If you have a favorite smaller supplier, consider yourself fortunate and don't be concerned that they aren't in our Readers' Choice Awards. In short, the Control Readers' Choice Awards offer a reference list of companies that readers like you say offer the best—a veritable Who's Who of equipment, software and service providers. All-in-one tool lets less-experienced techs calibrate like a pro. Today’s transmitters promise high turndowns, but other factors affect accuracy. How to reduce human error, accidents and illness with user-centered work environments. Who Had the Nicest Ice in This Year's Readers' Choice Awards? The Usual Suspects Win the Readers' Choice Awards!